Of all American weapons produced in World War II, including the atomic bomb, the most expensive was the Boeing B-29 Superfortress. Developing and producing the plane cost $3 billion and involved a massive industrial undertaking from plants in all regions of the country. The plane made key contributions to victory in the Pacific and in the prosecution of the Korean War before being retired in the 1950s. Thousands of subcontractors made components and systems for the plane, which was the most advanced of its day. 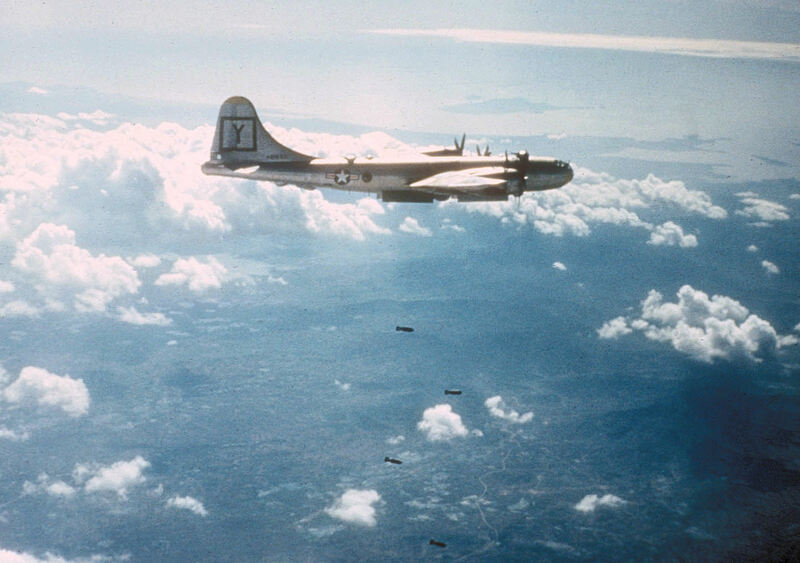 The B-29s themselves were assembled at four main plants: Boeing facilities in Renton, Washington and Wichita, Kansas; a Martin plant in Omaha; and a Bell plant in Marietta, Georgia. It is this last plant that offers an echo of the Civil War and a symbol of national reconciliation. The Bell plant in Marietta did not exist when the United States entered World War II. It was built from scratch and opened in early 1943 specifically for B-29 production. It operated for two years, closed for a time after the war, and reopened in 1951; today it is Dobbins Air Force Base. Thousands of Georgians, mostly female, came to the plant to work on the Superfortresses. One of the workers was a spry lady appearing to be in her seventies (although she kept vague on her exact age), who commuted every day via her Nash coupe from her modest home a few miles away to rivet B-29 fuselages. She attracted attention and Life magazine profiled her in late 1943. She defiantly announced to her interviewer that “I am going to assist in building a plane to bomb Hitler and the Son of Heaven [Emperor Hirohito of Japan] to the Judgment Seat of God.” Her name: Mrs. Helen Dortch Longstreet, the second wife of Confederate Lieutenant General James Longstreet. Helen Longstreet was actually 80 in 1943, having been born in Georgia in April 1863. She went to college with one of General Longstreet’s daughters, and married the General (whose first wife had died) in 1897; he was 76 and she 34. Seven years later she was Longstreet’s widow, and devoted much of her subsequent life to conservation, progressive politics, and preserving her husband’s memory. She died in May 1962, aged 99. Helen Longstreet, born in the Confederacy and widow of a Confederate general, spent two years in Marietta building B-29s for the U.S. Army Air Force, serving a country that her husband and state had tried to break away from 80 years before. She potently symbolized the reunion of North and South, and helped build one of the critical aircraft of World War II. 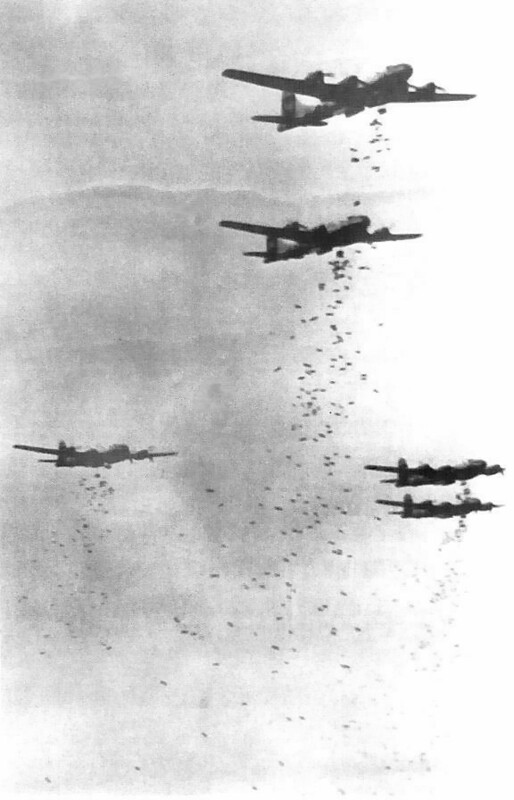 Top: B-29s bomb Japan in 1945. Middle: Helen Dortch Longstreet about the time of her marriage to General Longstreet. Below: A B-29 over Korea, 1951. This entry was posted in Arms & Armaments, Leadership--Confederate, Personalities, Ties to the War, Weapons and tagged B-29, Bell Aircraft, Civil War Echoes, Georgia, Helen Longstreet, James Longstreet, Marietta, reunion, Rosie the Riveter, U.S. Air Force, U.S. Army, U.S. Army Air Force, World War II, World War Two. Bookmark the permalink. This is interesting. A Confederate general’s widow who helped build B-29s. Great article Chris! It amazes me how many little pieces of the big history puzzle fit together! Very cool. I had no idea. Take that, Tojo! I expect some lost piece of Jubal Early writing to now resurface that somehow blames Longstreet for WWII. AaHH DON’T BE TO HARD ON OLDJjUBE iD LIKE TO SEE YOU USE YOUR TALENTS AND WRITE A STORY ON HIM.. iT APPEARS BEING WOUNDED IN THE WAR DIDN’T SLOW HIM DOWN A BIT PROVES HOW TOUGH THE REBS WERE ..
Best post today!! This is wonderful–thanks, Chris. Thanks very much, George, I really appreciate that. I wonder if it can be determined if she worked on the plane that became the Enola Gay? Enola Gay was built in Omaha, as was Bockscar, the B-29 that dropped the bomb on Nagasaki. That is just fantastic. I had no idea. GREAT STORY. i’VE BEEN READING ABOUT LONGSTREET IN THE CIVIL WAR VOLUMES BY JEFF SHAARA.